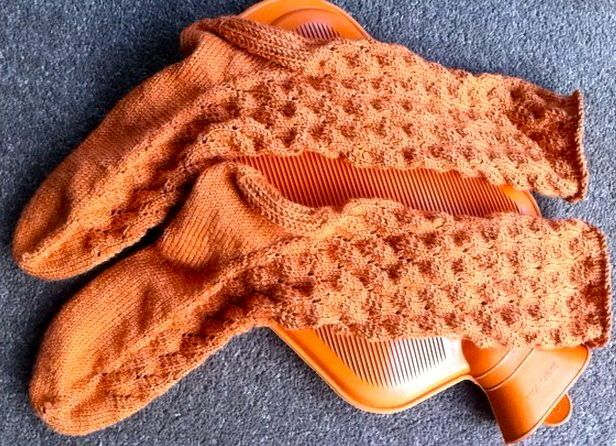 amour-fou-socks: The ultimate in warm tootsies! Hubby admired the teal coloured ones that went off to Australia that I thought he might like a pair to match the motorcycle....so here they are....wool/silk knitted up on 2.75mm in a standard top up style. 60 sts was just right.